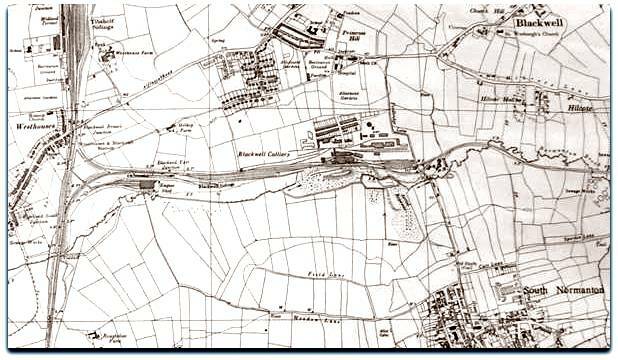 In March 1969, Blackwell A Winning colliery (North Derbyshire) sunk in 1872 by the Blackwell Colliery Co to the north of South Normanton and to the east of Westhouses was closed after 97 years. The shafts at 310 yards (282m) deep to below Blackshale were 14 feet (4.27m) diameter. Deep Hard 4’ 6” (1.37m) at 179 yards (54.55m). Self acting doors at UC shaft. Guibal fan 45 feet (13.7m) dia. Main and Tail haulage operated underground in early days, and ponies, later endless rope haulage. Winding cylinders 36” (0.91m) dia x 6’ 5½” (1.84m) flat drums 18’ 6” (5.63m) dia, double deck cages. Self-acting doors at UC surface level. No1 shaft had 2 double deck cages each holding one 2 ton mine car winding on 2 shifts from Blackshale level with consecutive decking at the surface. No2 shaft similarly equipped with rope guides had two cages with double decks that held 2 tubs per deck. Consecutive decking was done at Low Main inset at 241 yards (220m) and at the Blackshale inset at 297 yards (271.5m) to carry men and materials to each seam. This would become a major pumping pit after closure pumping some 650 gallons per minute and would continue to pump to protect Bentinck which could result in a possible inrush there should the pumps be switched off. Water was collected from Alfreton / Swanwick area and would flow through B Winning, New Hucknall and Kirkby to Langton. Occasionally pumping would continue into the 21st Century to relieve pressure. There were 72 beehive ovens 11’ 6” (3.5m) dia, coke being made from Low Main slack. The Blackwell Colliery Co built rows of miners’ houses at Blackwell and Primrose Hill. Blackwell Colliery Hotel occupied a prominent position. They also built a school, hospital, Institute with billiards and reading rooms, Boys’ Brigade Hall, gym, games room, baths etc and Methodist Chapel for the workforce. Primrose Hill miners’ row was demolished 1947. 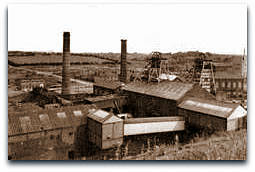 The colliery was taken over by NH and B Collieries Ltd in 1945. A father Thomas Hill and 7 sons named Elijah, John, William, Merrick, Benjamin, Thomas and Edward all worked at A Winning. Men from here were transferred to Shirebrook where the manpower increased to 1,560. It was kept open as a pumping pit. An old adit and sough and up to 25 shallow shafts lay adjacent to the mine. In 1875 the Blackshale or Silkstone coal was the property of Mrs HB Whitworth. Underground locos: 2’ 0” gauge 2 x 4wBef GB10s 1958. Some men were transferred to Shirebrook. Highest output was 578,059 tons in 1957. Highest manpower was 1,342 in 1952 when 519,304 tons was turned. 1946: app 1,170 men and boys. 1968/69: 443,295 tons, 617 men. Jack L Merry (542) Agent 1947-1950. Ben H Beevers (5551) 1969 for closed colliery (ex Pleasley). A Russell Keddie (5610) 1963-1965 (promoted to Manager New Hucknall). E Cliff Glover (7381 – 2nd and 3094 – 1st) 1966-1969 transferred from Blackwell B Winning, promoted to 2nd Deputy Manager Pleasley). Colliery transferred from No4 Area to North Derbyshire Area, with HQ at Bolsover from 1st April 1967. Andy Quincey (1901) (promoted from New Hucknall 8/12/1952-1969, transferred to Bolsover HQ, on tip surveys -1971). 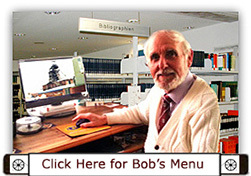 On 5th July 1947 a magnetic bearing between Blackwell A Winning UC shaft centre and Blackwell B Winning DC shaft centre gave a reading of 101º38’30” which equated to a NMG bearing of 90˚40’46”. The underground workings were plotted to the magnetic meridian originally on the old large roll plans, that covered the full working area of the mine as at most pits, then to the National Grid when new plans were constructed on modern ‘flat sheets’, where as many as 20 of these would cover the same area, these being 2km x 1km, plotted to 1/2500. Compensation payments made by the Company for the widows and family of the men killed in the explosion of 12/11/1895 ranged from £7/10/- (£7.50) down to 2/6 (12.5p). £1 equivalent at 2011 would be approx £58.